The Nike Air Max 95 made its mark as the first shoe to include visible Nike Air cushioning in the forefoot. The Nike Air Max 95 SE Men's Shoe energises the iconic design with updated materials in a variety of textures and accents. 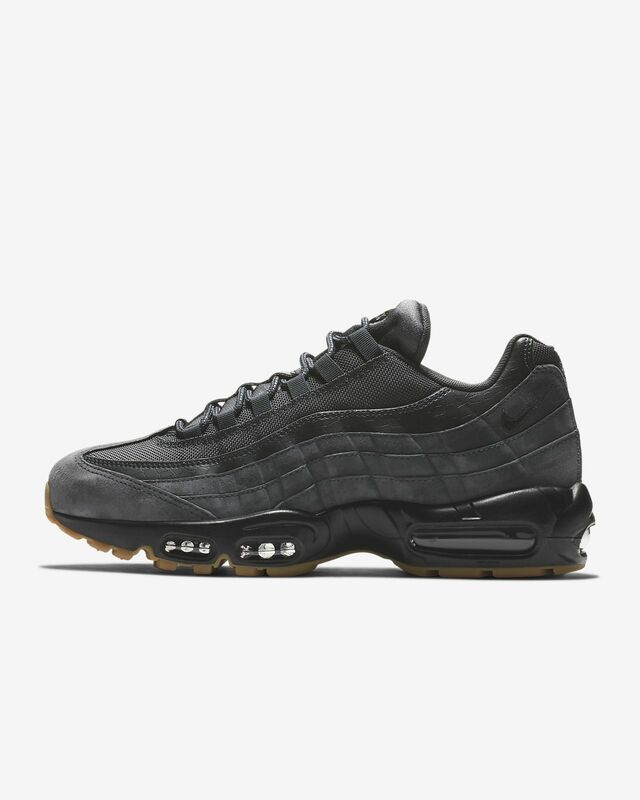 The Nike Air Max 95 made its mark as the first shoe to include visible Nike Air cushioning in the forefoot. The Nike Air Max 95 SE Men&apos;s Shoe energises the iconic design with updated materials in a variety of textures and accents. Nike&apos;s revolutionary Air-Sole unit made its way into Nike footwear in 1978. In 1987, the Nike Air Max 1 debuted with visible air in its heel, allowing fans more than just the feel of Air-Sole comfort—suddenly they could see it. 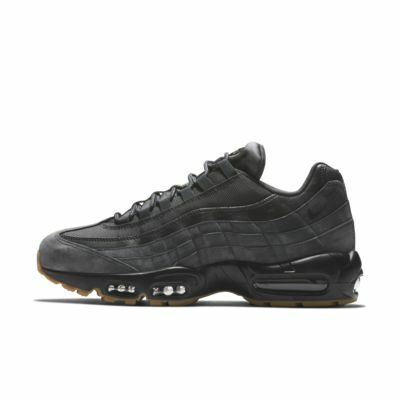 Air reached a new milestone in 1995 when the Nike Air Max 95 opened more windows, this time in the forefoot. Known as much for its innovation as for its design lines inspired by human anatomy, the Nike Air Max 95 became a classic the moment it dropped. I have several other Nike trainers including 2 other 95's all in Size 10 but when it comes to this 95 SE shoe my foot doesn't even fit all the way in. Not sure what went wrong here, but I went in store today to try out other 95 SE trainers but had the same issue. Going up to size 11 gets my foot in by still very cramped at the front end. J'ai été déçu par ces baskets... étant une personne très soigneuse avec mes chaussures, l'extérieur est en excellent état cependant après 4 mois d'utilisation elles sont inutilisable pour cause à l'intérieur de la basket au niveau du talon le tissu s'est déchiré sur l'une des chaussures, et le talon est très douloureux comme si il était tout déformé. Cela fait plus de 8 mois qu'elle dorme dans le placard. Je trouve ça inacceptable pour des chaussures à ce prix là. Est-ce une anomalie sur cette paire lors de la fabrication ? Je ne sais pas, mais du coup je ne les recommande pas.